FRSD schools will remain open on Wednesday, May 8th. Many of you may have heard reports regarding some Lane County School Districts being closed on May 8th. In Fern Ridge, schools will remain open. The Oregon Education Association has called upon its members to make May 8th a “Day of Action” to advocate for legislative action to significantly invest in K-12 education so that Oregon schools have adequate resources to serve all students. Union’s planned activities include many districts participating in one-day teacher strikes (“walkouts”). In Fern Ridge our teachers and union leadership have elected to participate in this Day of Action in a way that is least disruptive to families and student learning time. Our teacher union leadership has been transparent and communicating with me the last few weeks regarding their planning, and I recently have been informed that teachers that participate will be “walking out” after students are released on Wednesday, May 8th. This type of action shows their support for the larger “Day of Action”, while being least disruptive to our students and families. The missed hours of work/professional development time will be unpaid strike time for teachers, or they must take a ½ day of their personal leave. The Fern Ridge School District and I share our teacher’s goal of convincing the Oregon Legislature to make a significant investment in education to provide smaller class sizes, more learning time, increased health and safety services and a well-rounded education. However, the district does not endorse or condone walkouts that disrupt the work day. I have been informed that during this walkout many of our licensed staff will be at the corner of Territorial Highway and 126 sharing positive signs regarding supporting students and increased K-12 funding to serve all students. If additional information becomes available, or something changes, we will communicate immediately with our families. A big thank you to all of the Fern Ridge School District Secretaries! At VES, Lorie Haffner and Jessica Alansky, at FRMS Tammy Eutsler and Casey Anderson, at EES Dawn Northey and Brie Scriber, at EHS Tammy Boren, at the District Office Michelle Cook and in Special Education Mary Griswold. We all appreciate everything you do for the students, parents and staff in the Fern Ridge School District. Congratulations to the 2018-2019 Fern Ridge School District Distinguished Service Award Recipients! 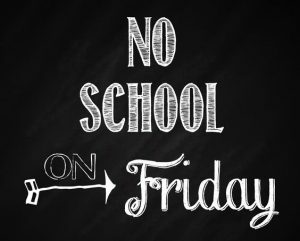 There is no school for students on Friday, April 5 due to a teacher workday. 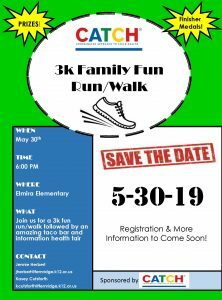 Mark your calendars for May 30th and join us for a 3K Family Fun Run/Walk followed by a taco bar and health information fair! 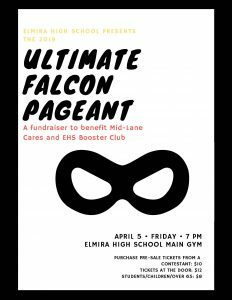 This event is sponsored by Coordinated Approach to Child Health (CATCH) and will be held at Elmira Elementary School. More information on registration will be posted soon. Now that the snow and ice have melted, our district is focusing on the impact the four snow days had on student learning. The school calendar was revised to restore two school days in June. School will be in session on June 17 and the final day for students will be June 18. At this time, the calendar for Seniors remains the same and graduation will take place on June 7. 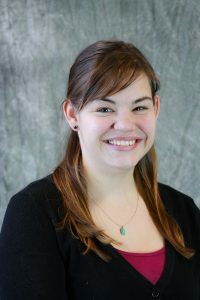 The Fern Ridge School Board unanimously approved the calendar revisions during their March 18 meeting. These changes will be updated to the district website calendar later today. Thank you to our families for your flexibility as we work to ensure that we are providing as much learning time as we can for our students. This morning as the baseball team was traveling to an away game there was a bus accident. There were minor injuries with two students being transported. Work is being made toward contacting all families but if you have a student on the bus and have not heard from them directly or the school please contact the high school office at 541-935-8200. The rest of the students are headed back to the high school where they will determine if they will stay in school or go home for the day. More information will be posted at a later time. FRSD is on a 2 hour delay for today, Thursday March 7th due to icy road conditions.